Over the past few years there have been many posts by high-profile pastors and Christian leaders about the importance of the Church in the Christian life. Specifically, the subject is the goodness of church membership over against the perceived “just Jesus and me” trajectory of younger believers. I’ve agreed with much of what they have said. I love my church. I feel I need the community for my good and my family’s. They are the epitome of kindness. So all things being equal I’ve agree in principal if not always in tone. Mars Hill was pointed to for years as a beacon by me and all the high- profile Calvinist leaders involved with The Gospel Coalition and Together for the Gospel. And all of them talked about the value of the institutional church and still do. And now in the wake of increasing scandal, the only thing we have heard is that we should pray for Mark Driscoll and his family. I am what you would call a conservative evangelical Calvinist. This is my tribe. But all the writings on the importance of the church will be met with skepticism without the acknowledgement of specific abusive systems. In other words, if you’re gonna applaud a leader and his church and point others to him and his ministry when things are fine, you will lose your credibility if your only public reaction is to call for prayer for the leader of the abusive ministry and offer none for the those abused. Because those are the ones who are most likely to question the value of the church in their life. I know this because I’ve heard from them. And I’ve tasted it myself. The credibility of the church will rise and fall on how it treats the weak and wounded. Mark Driscoll called former friends and former pastors “bodies under the bus” and was hoping for a mountain of them. I know of no high-profile pastor who has publicly called for prayer for those bodies. I read a comment on Facebook or a blog a couple days ago, that said something to the effect of, “this is why I left church behind, not Jesus, just the church.” I gotta be honest, it’s hard to blame them. Once pastors start systematically wounding people, they are no longer shepherds but wolves. And the American Evangelical Industrial Machine is protecting the wolves with silence and PR firms. And God help us, calls for prayer. None for those on receiving end of the abuse, though. 1. Because of my writings on him in the past and my service in an Acts 29 church, I’ve been asked what I think about all the recent controversy surrounding Mark Driscoll. My first response is sadness. I’m too far along to be angry anymore. And I worry if he will ever listen to anyone and repent. The trajectory seems fixed. What makes me sad also is the response of all those who once supported him so vocally. We seem to be in a period of church history where celebrity pastors are more than happy to prop each other up when things are going well, but then step away silently when it all goes south. It’s the kind of behavior we dislike in politicians but we find all too convenient. 2. People ask me all the time how my job is going. It’s a hard question to answer. Behind the asking is their knowledge how I’ve never been comfortable as a banker. On the surface, I can tell them how well I’m doing, numbers-wise. It’s true, I’m actually getting pretty good at what I do. But there is a whole world below that surface. 3. Every now and again, I also get asked about writing. There is a lot of good advice out there and I don’t really have anything new to add. The only way your writing will be any good is if you are reading good writers. So, if you are an evangelical, you will need to read outside of evangelicalism. They are few and will be exhausted soon enough. Don’t try to write like another pastor who has a book or ten on the shelves. 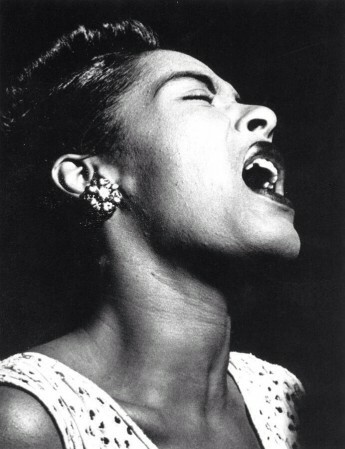 Write like Van Gogh paints and Billie Holiday sings. 4. The absence of my parent’s generosity of time, possessions, affections, and love for my family has left a gaping hole in our daily lives. Do you ever get over your father, almost completely blind, loving nothing more than to have my children act like wild animals at his feet? How do you get over your mother’s tears of joy at just being able to share a meal with us? Maybe you aren’t supposed to. Maybe the hole is the soul’s historical marker, telling you and others of what happened there, the indelible marks of love along life’s twisting and turning scenic routes. 5. It is looking more and more likely as if we will taste the bitter pill of being totally at odds with the surrounding culture in my country. Or at least those who are in power. Actually we always should have been. But we saw money and power as opportunities for influence and advancement. We never saw them as something dangerous, poisons that travel fast through the veins of our institutions. What we thought would make us stronger has in fact made us sick and weak. We thought partnering with politicians would do a world of good. We are not the first religious people who thought partnering with those in authority would make things better. 6. If you read through the gospels and you use your imagination even a little, the stories of what Jesus did and said begin to separate themselves from modern-day evangelicalism. Like oil and water. We try not to say anything too crazy or provocative and we tie our ties and button our coats after a clean shave. I imagine most read a stoicism into Jesus’ words, when instead there was often a wide-eyed stare. Maybe even wild-eyed provocation. Sure some of those crazy things he said were probably done in the quiet as the listeners leaned in with bated breath. But let’s not wrap the life of Jesus in a clean-shaven respectability and so smother the life out of it. 7. You ever been on a journey and you looked over and were glad for the companion you had? You feel if even a tire went flat, the journey would still be enjoyable. Who cares where you eat along the way? It will taste like Prime Rib regardless. Everything out in front and whatever lies in the rearview mirror is a gift for the two of you. That’s what it’s like with Bethany. 8. I miss Michael Spencer. I never could predict what he would say in his dispatches from the “post-evangelical wilderness.” We need more guys like him.